Welcome to the fourth day of my blogoversary extravaganza! Today we're looking back to Mystery Week (from last September). 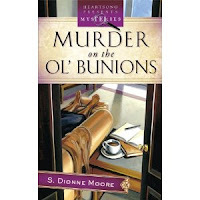 While I may not have another short mystery story for you today, author S. Dionne Moore has a very special and fun treat for ya'll! It was so much fun glancing back at these posts and the subsequent comments when adding the links here--I might just have to include another Mystery Week in my second year of blogging! ;) Just out of curiosity, what themed weeks would you like to see make a repeat appearance on "Seasons of Humility"? And now, the "Mysterious Mrs. S." is back with an awesome interview! Sandra: Nope. And I can blame the whole “S” thing on the *other* Sandra. My editor contracted her before me, so asked me if I had some other name I wanted to use to avoid confusion. Since my middle name is unique, that’s what I decided to use. Amber: I think it makes for a very cool pen name! Could you share with us what you’ve been up to in your writing career since September 2010? Sandra: Oh dear. Since September 2010? Let’s see. 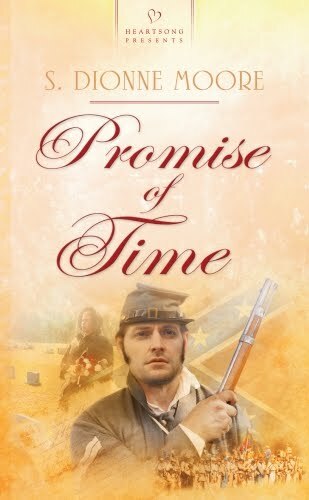 I finished up the edits of my second PA Historical Romance, Promise of Yesterday, which released in December. Finished writing the last book of the series, Promise of Time, which releases in April of 2011, and both started and finished the first book in my Wyoming Historical Romance series titled, A Sheepherder’s Song. Oy! I didn’t realized I’d accomplished so much in such a short time until I had to answer that question. Amber: Wow! Way to go! I'm definitely looking forward to diving into some more of your work this summer. =) What’s on the agenda for this next year? Any new books we should be on the lookout for? Sandra: In addition to the first book in my Wyoming series, I’ll be working on the second (April - July) and the third (August - November). I’ll have edits for Recipe for Deceit which allows me to return to the first character whose personality landed my first contract, LaTisha Barnhart. Promise Brides, the 3-in-1, of all the PA historicals will release in November. 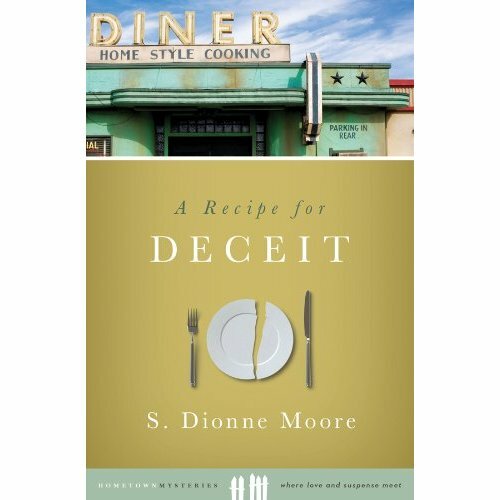 Recipe for Deceit releases in October. Mystery lovers might be interested to know that Recipe for Deceit, the third and final book in the cozy mystery series, revisits the town of Maple Gap. We discover just what Mayor Taser, Hardy, and a slew of new characters have all been up to using Your Goose Is Cooked, Maple Gap’s premiere restaurant, which LaTisha now owns, as setting. Your first interview here was centered on mysteries: ones you’ve solved, ones you write about, and ones my readers could help you solve. Got any new mysteries for my readers to solve? Sandra: There’s a hidden object game on my Website. For those of you who can find all eight mice, email me with the locations and I’ll enter you for a chance to win the entire collection of my PA Historical Romance (3 books! ), autographed to you or the person of your choosing. If we could celebrate this blogoversary in “real life” (as a tangible party and not just a cyber party) and you were asked to help come up with ideas for the party, what would you suggest? Sandra: Armchairs with ottomans. A librarian-look-alike lady, bun and spectacles in place--her presence will maintain the quiet needed as we read quietly. Hot chocolate, teas, and mochas will be served. Reading glasses must be in place before entering the premises. You will be handed a mystery and asked what hot drink you would like to accompany your escape into crime-solving. A tuxedoed male will keep the fire roaring in the fireplace. Every 50 minutes there will be a break from reading for a bit of sharing on the likes/dislikes of the book you’re reading. Is this party rocking it or what? Oh. I forgot to add an event in my description above--Naptime is a requirement and will occur at three hour intervals. Amber: Hahaha--love it! Do you have a funny memory you can share with us from a party/celebration that you attended or hosted this past year? Sandra: Uh. Heart-shaped balloons give a really bad impression as they deflate. I was decorating for a Bridal shower to be held at our church, in the fellowship hall. Every time I caught a glimpse of those balloons, I just wanted to crawl under the table. Amber: Hehehe! Oh goodness, Sandra--too funny! ;) Thank you so much for joining us today and for putting together that activity for my readers! "There’s a hidden object game on my Website. For those of you who can find all eight mice, email me [Sandra] with the locations and I’ll enter you for a chance to win the entire collection of my PA Historical Romance (3 books! ), autographed to you or the person of your choosing." 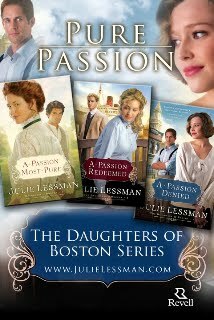 Blogoversary Day 3: Welcome Back Julie Lessman! Welcome to the third day of my blogoversary extravaganza! Today is actually my official blogoversary, as I started blogging March 30, 2010. 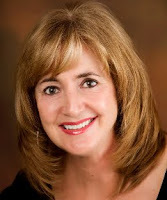 =) To celebrate today we're looking back to two special events from this past year: Reading Retreats Week and my interview last July with author Julie Lessman! 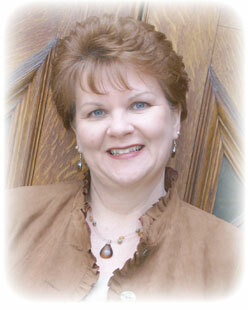 I have to say, Julie is like a rock star in the Christian fiction world. ;) It's so much fun to have her visit! Amber: It’s such a pleasure to host you here at “Seasons of Humility” again! It may not be a “Hot Summer Day” for this particular interview, but I’m sure we can pretend, right? ;) Could you share with us what you’ve been up to in your writing career since Summer 2010? Julie: W ell, book 1 in the “Winds of Change” series came out September 1st, A Hope Undaunted, which is Katie O’Connor’s story (and Cluny McGee’s), and I am thrilled to say that it ranked #5 on the Booklist “Top Ten Inspirational Fiction for 2010,” which blessed the socks off of me!! Then I started in on the final book of the O’Connor saga, A Trust Restored (working title), which is Steven O’Connor’s love story with a new heroine who is mentored by Faith O’Connor. I did this because I wanted to bring the saga full circle with a heroine who is as strong in her faith as Faith O’Connor was in A Passion Most Pure. 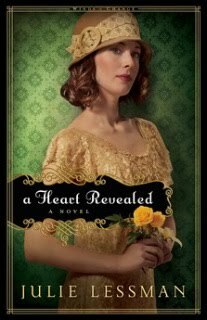 Finally, I just submitted a new proposal to my publisher for a 3-book series entitled “The Cousins McClare,” about the struggles of heart and faith for three cousins in 1933 San Francisco amidst the glitter and glamour of San Francisco’s Nob Hill to the seedy dance halls and gambling dens of the Barbary Coast. Julie: Book 2 in the “Winds of Change” series, A Heart Revealed, releases September 1st (August 1st on CBD.com) and I was doing cartwheels this week because Mary Connealy (one of my favorite authors and people who has graciously agreed to endorse my book) said: "It's the best yet, Julie. Beautiful, powerful, funny at moments, so wise in others that I'm humbled. Fantastic book." I have to be honest—I was pretty worried because although A Heart Revealed is my husband and crit partner's favorite books of all those I’ve written, it’s not mine by a long shot and I actually wasn’t sure if it was any good or not. Trust me, it’s one thing to have your husband say it’s the best so far, but somehow SO much better when an author the caliber of Mary Connealy says it is! but her heart belongs to another. And, because you asked, here is a sneak peek at a scene at Dennehy’s Department Store where Emma is manager and Sean is now a temporary Assistant Manager since he lost his job during the Great Depression. Sean is desperate to regain Emma’s trust after an incident where he lost his temper in a violent manner, nearly destroying their ten-year friendship. “Oh, I love the smell of rain,” Emma whispered. “Me too,” he said quietly, suddenly aware he’d been holding his breath. Easing back in his chair, his chest slowly contracted as the air left his lungs in one long, silent release. He thought he had known her, but she had surprised him more than anyone ever had, slipping out from the shadows of ambiguity to become a strong and steady force in a world where men reigned supreme. He’d watched her dicker with a salesman over surcharges on a foreign shipment, battle a shipping agent over late delivery, and soothe a disgruntled customer, all in one day. She was calm and kind to her staff without leaving any room for lax behavior from any employee whose paycheck she signed. And yet through it all, she was Emma, a woman who preferred to fade into the background, and yet wielded a power that was serene, gentle, and strong. His neck warmed. And somehow—in the intimacy of this setting—sensual. His words stilled her for a moment before she finally nodded, rib cage slowly deflating. Without another word, she slipped from the room, leaving him alone with his regret. He released a weary breath and dropped his head on the back of the chair, a bittersweet smile edging his lips at the thought of dining with Emma and clearing the air. Whatever it took, he would regain her trust. Her friendship was too important. And so was the harmony they’d need to work side by side. “I assume being a full-blooded Irishman, you like corned beef and cabbage?” she asked upon her return, gaze averted despite a faint smile on her lips. She deposited a small basket on the edge of his desk and popped the lid to unearth slices of corned beef swaddled in wax paper and a small bowl of cabbage sealed with aluminum foil. Smoothing out the foil, she carefully placed a sliver of corned beef on top and then scooped a child’s portion of cabbage alongside. She produced two forks, obviously from the makeshift kitchen at the back of Bert and Alli’s office, then placed the rest of the corned beef into the bowl with the cabbage. With an almost childlike focus that made him smile, she carefully slid it across the desk, keeping the smaller portion for herself. “Don’t make me pull rank on you, Mr. O’Connor. This is all I want.” She nudged it back. She nodded and looked away, apparently reluctant to maintain his gaze. “I’ve forgiven you,” she whispered, but it didn’t ease the wariness in her face. “That’s not true …” she said too softly, a twinge of pain in her eyes. “Emma, I’m sorry …” he whispered, the pain in his heart bleeding into his voice. Amber: Oh, thanks so much for sharing that, Julie! During “Reading R etreats Week” last year, I told my story about reading your debut book A Passion Most Pure in Borders and up in a tree during the Senior Picnic at a Boy Scouts camp. Do you have a favorite reading retreat—a place where you most like to read? 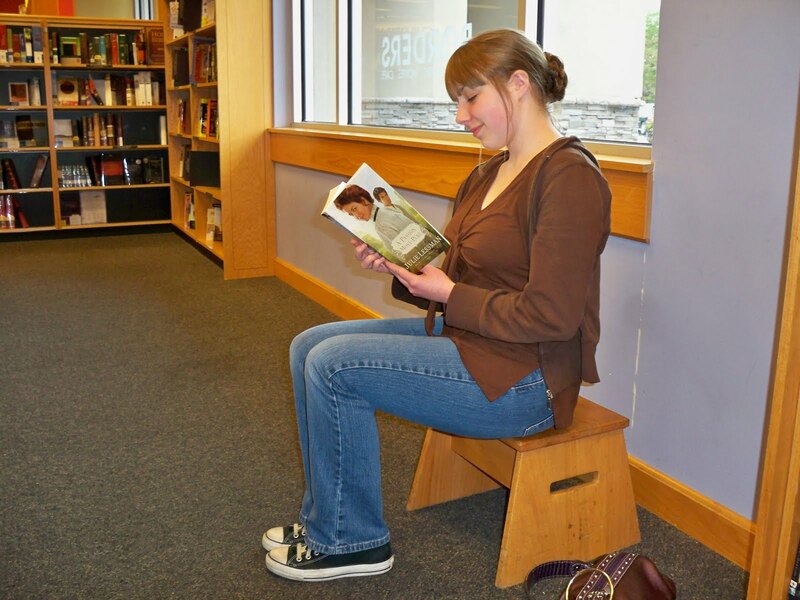 Or do you have a fun story about the strangest place you’re been caught reading? Julie: A favorite “reading retreat,” eh? Well, I’m afraid my reading time is not very glamorous as the only time I have to read is in the car when my husband is driving, in the powder room, doctor appointments, standing in lines at stores or briefly before I go to bed. I carry a book and a little book light in my purse at all times, so surprisingly, I can read about six books a month that way, which is pretty good, I think. As far as the strangest place I’ve read, I once read a review by a blogger I didn’t know who said she read about four chapters of A Passion Most Pure one night, then got up the next morning and decided to get a bath while reading some more and ended up finishing the book … in the bathtub!! I figured if she could do it, I’d try it, but I didn’t like it at all as it was uncomfortable holding the book out of the water. So I guess the craziest places I’ve read is when I am driving and stopped at a red light or a train crossing because if a book is really good, I will literally read it at every stop light. Amber: It is hard to read in the bathtub and keep the book from getting wet! ;) And you know you're an avid reader when you always carry a book with you at all times (like in the car! ), right? If we could celebrate this blogoversary in “real life” (as a tangible party and not just a cyber party) and you were asked to help come up with ideas for party costumes, what would you suggest? Julie: Oh, no question about it—a Gone With the Wind party!! My friends at work actually threw a Gone With the Wind surprise party for me after I got published, which was SO much fun!! When I arrived at the house, there was a big poster of Scarlett with her fist in the air with the caption: As God is my witness, I will never go unpublished again! I was met at the door by one of the gal’s moms who is four-foot-eleven 92-year-old everybody called Grammy, and she was dressed in a “Mammy” outfit with head wrap and all. They rented a Scarlett dress for me to wear and piped Tara’s theme throughout the house while they served mint juleps and a Southern-style luncheon. It was WONDERFUL!! Also, when I was sixteen, my first job was at a theatre showing GWTW, and the manager paid for us to be costumed in hoop-skirt Southern belle ball gowns with upsweep curly hairdos. That was SO much fun, that I would LOVE to have a GWTW party with authentic Southern belle dresses like that, fun updos and a Southern BBQ with all the fixin’s. Sweet tea in Georgia, that sure does sound wonderful! Amber: Sounds awesome! Do you have a funny memory you can share with us from a party/celebration that you attended or hosted this past year? Julie: No funny stories in the last year, but I did have a very questionable dinner party I threw years ago that was a total disaster. As you know, I joke about having MSD (Martha Stewart Disease) because I have been known to pipe dinner guests’ initials into their twice-baked potatoes! At times I would throw elaborate dinner parties in various themes and one time decided to do an authentic Italian dinner with veal parmagian, Italian broccoli, pasta and an Italian dessert called Spoom. I had never made veal before and asked the butcher for veal patties. They looked so small to me, that I doubled them up and they ended up looking like blimps on the plates with almost no sauce. I followed directions for the broccoli to a T, but all the heads fell off, leaving only tree trunks. The dessert was a frozen custard/pudding with strawberries in it that you pulled out of the freezer and poured champagne over. The dinner went from bad to worse. The minute I cut into the veal, I made the mistake of saying something like, “Gosh, it’s hard to believe veal is made out of baby cows.” All of a sudden you heard forks clink to the plates as everybody lost their appetite for the veal blimp on their plate. They had to scoop the broccoli floret pieces up with their spoons like tiny peas and when it came to the dessert, all you heard were forks clinking against glass because the pudding froze rock solid. All in all, it was a REALLY embarrassing experience that my friends and I laughed about later. Amber: Hahaha, nice one, Julie! ;) Reminds me of the scene in the first Anne of Green Gables movie, when Anne tells Miss Stacie not to eat the pudding because a mouse drowned in it! Thank you so much for being our guest today, Julie--it's always a treat to host you! Julie has generously offered to give away a signed copy of the winner's choice of one of her books (including A Heart Revealed!!!) to one lucky commenter! To check out all of Julie's books, you can visit her website. Just leave a comment for Julie along with your e-mail address for a chance to win! Welcome to the second day of my blogoversary extravaganza! Today we're looking back to "Vacation Week" (from last June), and in the process I say we should also look ahead to those warm summer days *hopefully* coming soon! I may have just had spring break, but I'm definitely eager for summer vacation and our fun family trips! As you can see from the second link above, last year I interviewed author Laura Frantz for Vacation Week. I'm thrilled to welcome her back to "Seasons of Humility" today! Amber: It’s such a pleasure to host you here at “Seasons of Humility” again! Could you share with us what you’ve been up to in your writing career since Summer 2010? 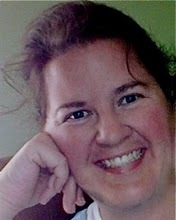 Laura: Thanks so much for hosting me here, Amber – I love connecting with you, fellow writers, and reading friends whenever I can! Amber: Sounds like fun! Wish I could be there for that ACFW banquet. ;) What’s on the agenda for this next year? We’d love to hear anything you can tell us about your next release, as well as that new series you’re working on! Laura: *GASP* - Some of you won’t believe it, but I’m moving out of frontier Kentucky into Pennsylvania for the next 4 books in a series called The Ballantyne Legacy. It’s a rags to riches story involving a handsome Scots tradesman and two sisters who fall in love with him. He has to choose between them, of course, and the result is quite catastrophic, at least for their little village! The next 3 stories in the series revolve around a different generation in this same family. I’m busy working on book 1 now. It’s very different than anything I’ve ever done, much more dialogue-driven than my more narrative works. I hope readers like the story as much as I’m loving getting into the hearts and heads of these characters. Amber: Laura, if you've written it, you've got a loyal fan club who will just love to read it! Your first interview here was centered on vacations and settings. Have you gone on any exciting vacations since last summer? Do you have any plans for vacations this coming year? Laura: I was just tell ing my husband I’d love to go to Scotland – or return to England. There’s a reunion coming up in April at the castle where I attended college. Wish I could go to both! As for recent, past vacations, it would have to be the Books&Such Literary retreat I attended in Monterey last October. Wow! We were so spoiled while there – sparkling water and chocolate-dipped strawberries upon arrival, amazing speakers and small groups, the beauty that is found along the California coast. I could go on and on. The hotel where we stayed has such a rich history. It rests upon the site of a beautiful villa a man built for his bride a hundred or so years ago. While on their honeymoon, he died! She then had his child… What a romantic, tragic story. It was in all the papers back then. If we could celebrate this blogoversary in “real life” (as a tangible party and not just a cyber party) and you were asked to help come up with ideas for party decorations, what would you suggest? Laura: I am just dying to have a vintage bash where everyone comes dressed as their favorite historical character. We would be the decorations! ;) Of course, we’d have to have paper lanterns, garlands of flowers, streamers, white twinkle lites, confetti… We’d play croquet! Eat tiny tea sandwiches and sip sparkling cider. I love a good party and a vintage-themed one would sure warm my historical-loving heart. Do you have a funny memory you can share with us from a party/celebration that you attended or hosted this past year? Laura: Oh, my life seems to be more about work than play at present. I love your question and wonder if we could turn it around and ask your blog readers? I’d so enjoy reading their responses! So, readers, can you share a funny memory from a party/celebration that you hosted or attended this past year? Amber: Good idea, Laura! Before I turn it over to the readers I just want to thank you so much for visiting here once again--it's always a treat to host you! Just share a funny party memory in the comments section and include your e-mail address for a chance to win! Welcome to the first day of the week-long blogoversary extravaganza here at "Seasons of Humility!" This week is going to be all about reminiscing the past year on the blog, particularly the themed weeks. Today we're remembering Movie Week! A Week at the Movies! Don't be turned off by the big, blue head and the hero vs. villain theme--this movies is fantastic and anything but predictable! 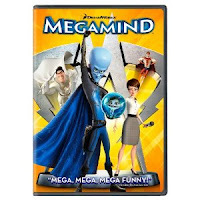 Megamind is clever, witty, and just plain fun! Megamind and Minion are lovable characters, and from the first moment I saw Megamind as a baby on the screen, he stole my heart with his bright green eyes and his future-self's laugh-worthy narration. With a great message of understanding, not being held back by the past, and good triumphing over evil, this movie is not only entertaining, but also meaningful. Once I got past Tom Hanks having a Bulgarian accent, I found The Terminal to be such an intriguing movie! ;) But seriously, while Tom Hanks plays quite a different role in this movie from You've Got Mail and Sleepless in Seattle, he still won me over with his sweet disposition and his determination to keep a promise he made and to not lose purpose even when falling "between the cracks." It certainly wouldn't be easy to adapt to living for weeks/months in an airport terminal! And yet Victor (Tom Hanks) perseveres and makes some loyal, quirky friends along the way. This movie is a treat! This is another movie that shouldn't be judged by first appearances. I was told this was a great movie, and my mom reassured me that even though the beginning seems strange, it's a cute story. Well, I'm here to tell you that she was right! This movie is adorable--different, but oh, so cute! 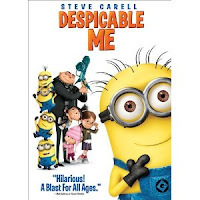 With little yellow minions, a villain with a dream from his childhood to reach the moon, and three girls in need of some love, Despicable Me is unique and definitely one to make you say, "Awwww!" All three of these movies can be found on Amazon.com, as well as many other movies. So today's giveaway is a $15 Amazon.com gift card, to help the winner celebrate his or her own Movie Day/Week! Just leave a comment mentioning a movie you recently watched that you really enjoyed, and include your e-mail address, and you'll be entered for a chance to win! Mesu Andrews weaves an emotional and stirring account of Job and Dinah. Love Amid the Ashes breathes life, romance, and passion into the classic biblical story of suffering and steadfast faith." From ashes to hope, Love Amid the Ashes takes the reader on an exotic and creative flight through the stories of some well-known biblical characters. The journey includes unfathomable despair and touching, gentle love, and the book is both intriguing and engaging. The author explains her intricate plot weaving in a note at the end, and it is obvious that a lot of research and time went into bringing this book together. I was surprised at the connections between characters, and I must admit that I'm not quite sure what to think of the conclusions inferred about the biblical history of these characters. However, when looking at this story for what it is--biblical fiction--I think the author presents a powerful message in a clever way. I also have to admit that this book almost reminded me of a combination of historical fiction and fantasy. That is not to say that the book presents unbelievable elements, but rather that the settings and situations were presented in a hard-to-picture and unusual way. The descriptions of the buildings, of the "mountain" of ashes and dung, etc. were a bit strange for me to imagine in my mind. All in all, though, Love Amid the Ashes is an intricate story that reminds readers of the sovereignty and majesty of God, as well as the hope of His love and grace. 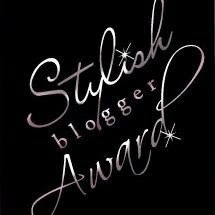 Blog Award # 10 and Some Exciting News!!! Thank you so much, Kait and Katy from Book Ponderings, for this beautiful award! This year my younger sister is graduating from 8th grade on my birthday! How cool is that? And to celebrate, our family is going to Disneyland the day after!! News: I've been blogging for almost a whole year! So I hope you'll join me next week for a super fun, week-long blogoversary party, starting Monday! News: I finished the first draft of my first manuscript this past week during spring break!!! Yep, it still needs polishing and editing (etc. ), but I feel blessed and excited to have completed the first draft, even if it is a bit on the short side. Wahoo!!! These are just some of the amazing bloggers I'm privileged to call my friends. Thank you, ladies, for having such stylish and inspiring blogs! Suffering, The Second Manuscript, and Song of Solomon: Meet Mesu Andrews! 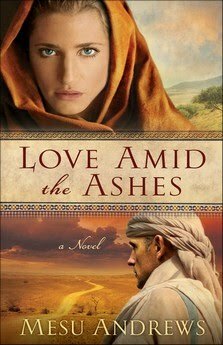 Mesu Andrews is the author of Love Amid the Ashes, a book that has released this month from Revell Publishing. I had the wonderful privilege of interviewing this author, and I just know you're going to love getting to meet her, too! Amber: To start, could you share with us what inspired you to become a writer? Was Love Amid the Ashes your first story idea, or were there others that didn’t get published before this one? Mesu: I wish I could say I was “inspired” to become a writer. I feel more like I was desperate to become a writer! Ha! I had been speaking at conferences and retreats for a few years before had a sort of health crash and ended up in bed for six months in 2002. When I realized the health issues were chronic, and life would forever be changed, I still felt compelled to share God’s Word. My only outlet became my laptop! Though I’d been a pastor’s wife for over a decade and attended a writers’ conference, no one was willing to publish my Bible study or devotionals—especially the one I’d written on the Song of Solomon. One agent said, “I couldn’t sell Billy Graham’s Bible study on the Song of Solomon, let alone a first-time author!” She was right, of course, so my dear friend advised me (nagged me) to write the study in story form—a parable, of sorts. It became my first completed manuscript. When I attended Gayle Roper’s fiction clinic at Mt. Hermon’s Writers’ Conference in 2008, I discovered just how much I needed to learn about writing fiction, but one of Revell’s editors saw a very raw gem in my proposal and asked me to send a COMPLETELY rewritten manuscript for consideration. They liked the story but needed to delay publication because of other projects already contracted, so they asked if I would write a second manuscript to be published first. Love Amid the Ashes was born. Love Amid the Ashes is a fictional rendering of the story of Job. Is the book of Job your favorite book of the Bible? If not, which book/story in the Bible is your favorite and why? Mesu: I love the Book of Job, but I wouldn’t call it my favorite book in the Bible. I suppose the Song of Solomon has become my favorite because it was there that I first really fell in love with Jesus. It sounds really cliché, and I hesitate to even write those words; but after reading the Song of Solomon everyday for almost a year, I discovered a new relationship with my God than I had ever known before. My favorite Scripture, however, is the place I’m hearing from the Lord at the moment. I’ve been studying Genesis during my devotional time for over a year, and I’m loving what Joseph has taught me. It’s all good stuff! Ha! Amber: I agree--it's definitely "all good stuff!" On your website you talk about some of what you have suffered in your own life. Did writing Love Amid the Ashes help you in some way by offering an outlet, or was it more of a painful journey? Mesu: I think both. I studied the Book of Job during the days of my initial diagnoses and the period of adjustment as our family worked through the loss of my “normal” activities. When I began writing Love Amid the Ashes, I thought all those wounds were healed and nicely dressed, but after showing my critique partners the first draft, they challenged me on it. My description of Job’s suffering was very clinical, his encounter with God very succinct. They knew, and gently helped me see, that I needed to revisit those same emotions that Job felt in order to write it well—and heal completely. They were right (as they usually are!) and it was a painful but healthy process. Amber: Quite a few of us who blog are hopeful authors. Could you tell us how you ended up getting your work published through Revell? Do you have a few tips to share with us still-unpublished authors? Mesu: Attend writers’ conferences, join ACFW and create your own platform. All of which help with networking. The Christian writing community is relatively small, and word travels quickly. Always be kind and generous with others—first, because it’s what Jesus called us to do; and second, because you never know when you’ll meet that person on the other side of a manuscript! A word about creating your own platform: I began writing devotionals each week and sending them out to family and friends. The list has grown with speaking events and other acquaintances. It’s something pro-active that shows your willingness to market, but most importantly, it’s a consistent discipline. I have people counting on me each week to meet a deadline. And last, but not least, I write something every day. Even if it’s only a well-phrased e-mail to my mother…every day. Amber: You mention on your website that your next book is going to be about King Solomon. We’d love to hear more about this future release and if you have any other contracted books! Mesu: We're in the editing and marketing stages for Love's Sacred Song, a novel based on the Song of Solomon, sharing the story of young King Solomon's love for a shepherd girl that shaped his character and his nation. No contract on more yet, but I’m hopeful! I've started researching four more novels, revealing God's love in the Old Testament. Too many times folks say they see only a god of wrath in the Old Testament; but I want to unveil God's adoration--the same yesterday, today and forever--equal in the Old Testament to the New Testament love that gave His Son for our sins. I hope to pick famous (or infamous) men and then bring the women in their lives out of the shadows. Very challenging, but loads of fun! Amber: I love that you want to share about who God really is--that His wrath is linked with His love, and that God from the Old Testament is the same in the New Testament and always! Thank you so much for joining us today, Mesu! Readers, you can find out more about Mesu and her work by visiting her website. And be on the lookout for my review of Love Amid the Ashes, coming soon! "Can love triumph over treachery? Bathsheba is a woman who longs for love. 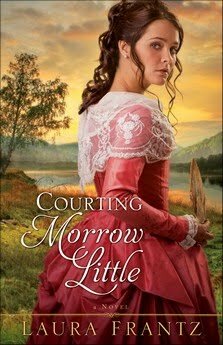 With her husband away fighting the king's wars, she battles encroaching loneliness--which makes it all too easy to succumb to the advances of King David. Will one night of unbridled passion destroy everything she holds dear? Can she find forgiveness at the feet of the Almighty? Or has her sin separated her from God forever? With a historian's sharp eye for detail and a novelist's creative spirit, Jill Eileen Smith brings to life the passionate and emotional story of David's most famous--and infamous--wife. You will never read the story of David and Bathsheba the same way again." With sensitivity and tact, author Jill Eileen Smith tells King David and Bathsheba's story in a stirring and engaging way. The historical/biblical context is expertly incorporated into the fictional rendering, and the reader is drawn into the story with all senses on the alert and an open heart. 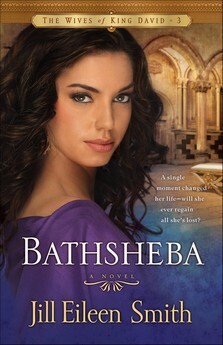 Bathsheba is wonderfully well-written, and even for those somewhat familiar with the story this historical fiction book offers a lot of insight. The subject of the story is not a happy one, and thus the book is not necessarily enjoyable to read in that way. There are a lot of painful and difficult scenes and thoughts presented throughout the story. However, the book is enjoyable in that it has a lot to offer. The settings are described beautifully, and the characters are shown to be real people with hurting hearts, confusion, grief, and yet resilience. They feel jealousy, anger, sorrow, pleasure, and love, and even though the reader can't applaud all of their choices, he or she can gain understanding and a compassionate yet uncompromising perspective on these people from the past and the holy and loving God they served--the God we can serve today. This is biblical fiction with heart, and I highly recommend it! If you do get the book be sure to read the author's note, as well! ...won a copy of A Memory Between Us! Congratulations, Amanda, and be looking for my e-mail! Also, if anyone would like to read about "Making Your Vacation Work For You" (tips for writers), click HERE to read my post on The Borrowed Book blog! As you can probably tell by the new background, color scheme, and banner picture, a new season has come to "Seasons of Humility!" It's always fun redecorating the blog for each new season and thinking about the seasons of humility in conjunction with the seasons of nature. For those of you who aren't familiar with the poem I wrote that inspired the title of this blog, feel free to click HERE if you're interested in reading it. The "spring" of the seasons of humility is a time when "new trust blooms forth"--a time when we have gone through the painful process of letting go of our own dreams/plans and waited to see God's plan, and now we can catch glimpses of His work in our lives. The "rain and tears" have given way to new blossoms, and growth is starting to become evident in our lives. Through God's grace may we come once again to the "spring" season of humility! Anyway, happy spring to you all, and I'd love to hear your thoughts on the new design if you'd like to share! The cinematography of Meek's Cutoff is dangerously beautiful. The plot is just plain dangerous. When I first learned that there was going to be a special showing of this movie at the Historic Elsinore Theater in Salem, I jumped right on board. I love the American West, and since I'm taking a class on the literature of the American West this semester, this movie sounded intriguing. I knew I wasn't going to see a fairytale-type story, but I think I was still ill-prepared for just how unique and unsettling this movie really was. First and foremost I believe this movie was meant to be art. That is to say, artistic license is taken and the main focus is on the picture being portrayed--the setting, the feel of the past, the universal themes--and not on the story being told. The movie was filmed near Burns in eastern Oregon, and the setting is absolutely stunning. The vast emptiness, the sounds of rushing water, the silhouette of a wagon against the vivid sunset...all of these are shown fully and wonderfully in the movie. And the dangers that go along with such a wilderness are shown in the weary group--lost, dirty, and most of all, thirsty. If you're looking for a movie that will show you a glimpse of the pioneer's life on the Oregon Trail, this movie does a fantastic job. On the other hand, while there are some neat historical details included in the film, it's not completely historically accurate. For example, from what I've gathered (although I confess I'm not an expert on the story of Meek's cutoff by any means), the actual group was much, much bigger than just a few wagon trains. And the issue with the lone Native American seemed to be included for the purpose of conveying some sort of message through the film (this was part of what someone else who saw the movie discussed with me). This movie is not meant to "entertain." It doesn't really offer any sort of pleasure, except for aesthetic pleasure, and the audience seemed to need relief from the pressure and depression so much that there was laughter at even the subtlest hint of humor, even if the circumstances in the movie were tragic. The scenes are extended far longer than in most movies, and there isn't really a traditional plot. One of the main problems I had with the movie was the overall unsatisfied feeling I had when it was over. There was an article on The Writers Alley blog a while back that talked about the "trust issue" involved when a reader (in this case, viewer) becomes invested in a story. Yes, it's hard not to applaud a creative approach to a story--it takes confidence and courage to take risks when making a movie, writing a novel, etc. However, when viewers are taken on this journey, they want to know that it was worth it. And usually that is best seen by looking at the beginning and the end. But Meek's Cutoff has no beginning or end. The viewer is dropped into the past with no background or explanation, and then brought to a place where there seems to be more questions than answers. The "cutoff"--the place where the movie ended--really startled both me and the person I was watching the movie with, and I think it startled the whole audience in general. It was abrupt, to say the least. Meek's Cutoff is bold, and I appreciate its realistic rendering of the misery of the Oregon Trail and the tenacious, persevering people who traversed it. But I felt set adrift by the plot, and I don't think the story is fully told in a way that brings satisfaction. So if you're looking for a history lesson or a good story, this movie might not be for you. Just like the beautiful pair of black heels I reviewed for CSN Stores several months ago, the set of vases arrived very well-packaged! They came in a huge box, and inside that box was this littler one and lots and lots of bubble wrap! ;) Thinking back on it, I'm reminded of a line from The Emperor's New Groove: "I'll put that flea in a box, and I'll put that box inside of another box..."
Here's what the whole set looks like fresh out of the box. Aren't they all lovely? There is a nice variety in color and shape, and they're definitely very classy! Now, back to the vases! This was from the first "try-out." My roomie got some lovely flowers from her boyfriend and we set up a photo shoot with the vases and flowers. ;) Very artsy, I'd say! The vases don't hold too many flowers, but they beautifully showcase the ones that they can hold. The second "try-out"/photo shoot was with fake flowers that I bought at Walmart. We have a few of the vases around the room right now with some fake flowers, which is great because they don't die! ;) Doesn't the one pictured above go great for St. Patrick's Day? And my roomie is using one of the vases to hold some real daffodils right now, as well. I was very pleased by how well-packaged the vases were--there was pretty much no way they could have been damaged en route to my school. Each of the vases is lovely, and I enjoy their uniqueness and their elegance. The colors are soft and varied to match different flowers and different settings at different times, which means there are plenty of options for how and when to use them! Whether they're used to hold fake flowers or real flowers, these vases can add a touch of class to any room. Because of their small sizes, they don't hold too many flowers, but they're more artistic rather than functional pieces. Add a handful of flowers to any of them and you can brighten a desk, a windowsill, or any small place that needs a ray of sunshine. Spring is almost here!!! This Sunday marks the first official day of spring according to my planner, which is cause for celebration! Add to that the fact that my spring break is next week, and my blogoversary is the week after that, and I'm even more excited! I think my cluttered thoughts could use a bit of organization! I feel like my list of possible blog posts just keeps getting longer and longer, which can be a good, but also stressful, thing. I still haven't posted about the rest of my Women to Women Conference Experience. I really need to post my CSN Stores review soon... This is especially timely since spring is starting, and who doesn't want to talk about pretty vases for those spring flowers? I went on a fabulous field trip this past Saturday for my Literature of the American West class! We went to the McLoughlin House in Oregon City and to Fort Vancouver. And I have pictures!! 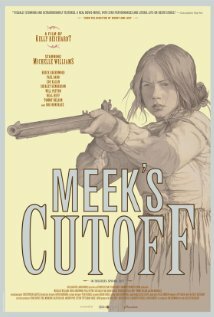 Just last night I went to see a special showing of Meek's Cutoff, a movie about a story from the Oregon Trail. I have a lot of conflicting thoughts about it... Anyone interested in reading a review? So, are you all excited about spring? And do these upcoming posts sound interesting to you? Which ones sound most appealing? Thank you all so much for helping me celebrate Hannah's birthday yesterday! Let's Celebrate Hannah's 19th Birthday!!! Today we’re here to celebrate a very dear friend’s 19th birthday. Happy birthday, Hannah Cerasoli! Cheryl: Thanks Amber! Hannah, HAPPY, HAPPY DAY! Amber: To start, I think we should brag a bit on our dear friend. ;) How long have you known Hannah, and what are some of the things you love most about her? Cheryl: I’ve known Hannah for awhile, can’t recall when we first met, but I feel blessed to know her. 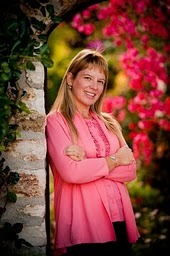 She has been so supportive of my writing and of our Seekerville blog. That support means so much. Hannah has an amazing faith. She is wise beyond her years and she is an overcomer. We have a lot in common in that I’ve struggled with chronic pain and there is a connection between people who go through that. Words aren’t needed to describe how chronic pain and disease can affect every single area in a person’s life. I know that God has wonderful plans for Hannah’s future and I’m so thankful for her being the kind of person who is a role model to young girls my daughters’ ages. Amber: There is so much to admire about Hannah--her kindness, her perseverance, her strength. You put it so well! If we could give Hannah a real party (not just a cyber one), what sort of theme would you suggest? Could you maybe give us a brief description of some of the decorations, party favors, games, etc.? 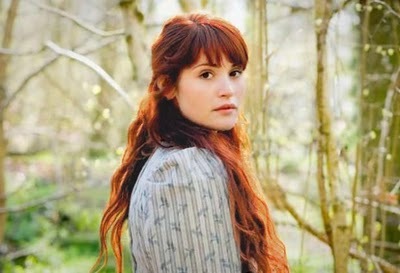 Cheryl: I would probably do either a book theme or a journal theme, since I got to know her on her Project Journal blog. I would stealthily find out her favorite colors and decorate it to the max with her favorite things. Games would be classic literature trivia, pin the comma on the author (LOL!) and other bookish/readerly games. Fun stuff like neon Kool-Aid, etc. Hannah always speaks so highly about your books. What sort of books do you write, and what are you currently working on? Cheryl: I write action-driven romance. I love to write about rescuers and others in noble careers. I’m currently revising the last book in Wings of Refuge, a series that features a team of elite U.S. Air Force Pararescue Jumpers (PJs for short). I’m also plotting a book that Hannah, my niece Gidge and I and another young reader (waving to Brooke!) brainstormed on Facebook about people with strange phobias. Maybe I’ll offer it as a free online read on my blog or something once it’s complete. But the phobias were cracking us up, especially the one where the person has a fear of being watched by ducks. Hysterical! I’m also brainstorming a book that features a carriage driver. I met with my research helper today (waves to Angie from St. Louis!) and we are having SO much fun plotstorming this series, which I think I’ll title Romance on the River because it’s set along rural areas of the Mississippi River. 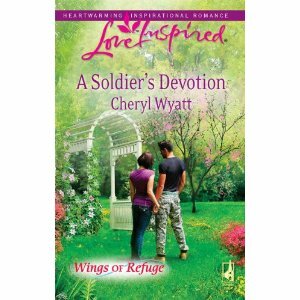 What first inspired you to write, and how did you end up writing for Steeple Hill’s “Love Inspired” series? Cheryl: I have always loved to write, since before I could use a Crayon. I think it’s something I was created for. Writing for Steeple Hill is a dream-come-true. I love the books and have read them for over a decade, since they first came out. I love romance because it provides a happy ending, guaranteed. I loved reading the books and Steeple Hill (now called Love Inspired) was my absolute first choice in a publisher. They are quick reads, wholesome and the editors and team at Harlequin are fabulous. Cheryl: I would probably give a birthday party to Bradley, the little boy in my debut novel (A Soldier’s Promise) because he had cancer and nearly died. So he almost didn’t have another birthday. His story really touched a lot of readers and I fashioned him after two friends’ daughters who, sadly, both at age 8, lost their battles to Leukemia. Their courage was an inspiration and I’d give Bradley a party on their behalf. I did write a birthday party scene in a book, Soldier Daddy. It was a scene that made me cry when I wrote it and that rarely happens. The twins are having a birthday party and there is an empty chair at the table. One twin rushed from his chair and brings his mother’s picture in and sets it on the table. His mom had died in a car crash when he was a baby. He said to his dad that moment, “Now Mommy will get to be at our birthday party too.” Or something similar. The heroine saw that it nearly bowed over the hero with out-of-nowhere grief and she supported him emotionally in that moment. I have had so many reader letters about that scene, I know it touched others too, especially those touched by some loss of their own. Amber: Wow! That definitely sounds like a powerful scene! Cheryl: Hannah, you have suffered more in your young life than some people will know in a lifetime. I know you feel bad or feel like you complain all the time but NO one is in your shoes and has the right to judge you. The doctors may not have all the answers but God is The Great Physician. I don’t know why He is allowing you to suffer through so much pain but you are an inspiration to those of us watching you go through it. You may feel shaky and uncertain and like a pain at times but your faith is solid and the person you come out of this on the other side is going to amaze people. God is faithful and never will He abandon you. When no one knows what you’re going through, He does. He loves you so much and I pray that you know how He sees you and have faith for the plans He has for you, to give you a future and a hope. You have such a gift of encouraging others even when you’re struggling. You amaze me and I know God is so very proud of you. Happy, Happy, Happy, Happy, Happy, Happy, HAPPY Birthday. Love you bunches! Amber: Thank you so, so much for joining us on this very special day, Cheryl! Now, what's a birthday without cake, music, and gifts??? So, since Hannah and I have talked about our hope to one day go see Phantom of the Opera together, I thought we should have a masquerade-themed party! Also, we have a gift for one lucky party guest! 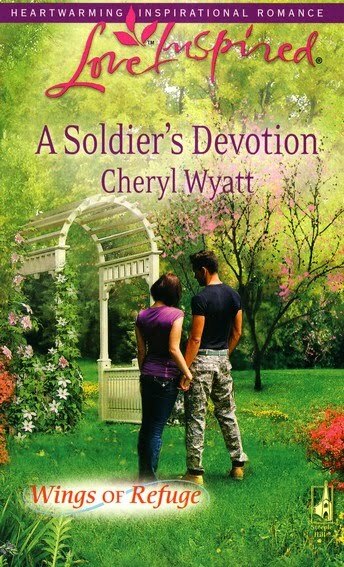 Cheryl has offered to give away a signed copy of her book A Soldier's Devotion. Just leave a comment for Hannah along with your e-mail address! Extra Entry: To get into the masquerade party mood (and to borrow one of Seekerville's cool ideas! ), you can get an extra entry by changing your blogger profile picture for today to a picture with a mask--any sort of mask will do! 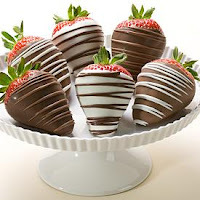 Hannah, my dear texting buddy and fabulous friend, I hope you enjoy the party and that you have an amazing day here among your blogging friends who love you very much!! !